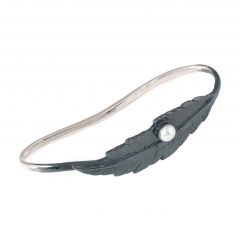 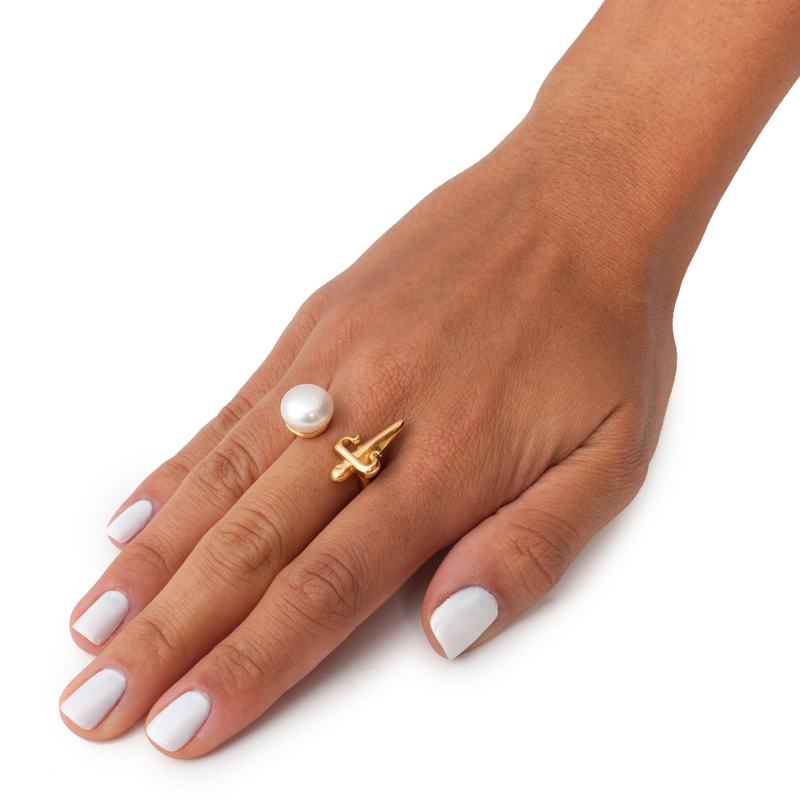 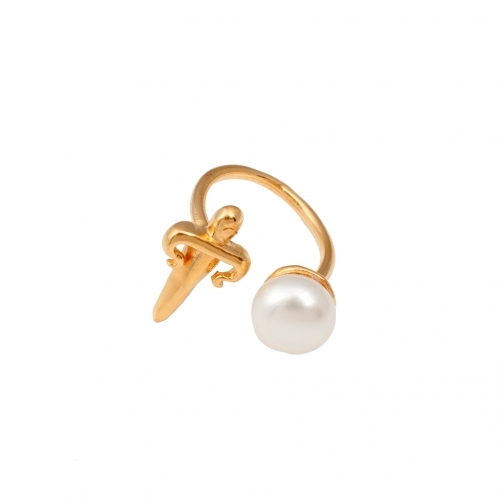 The newest additions to the Damocles collection are the dagger pearl rings. 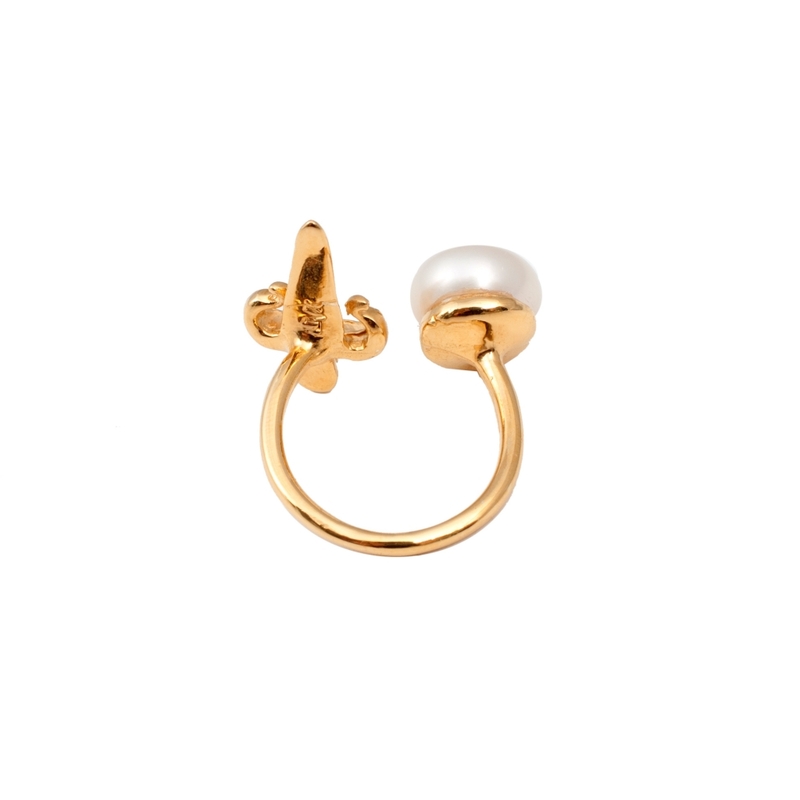 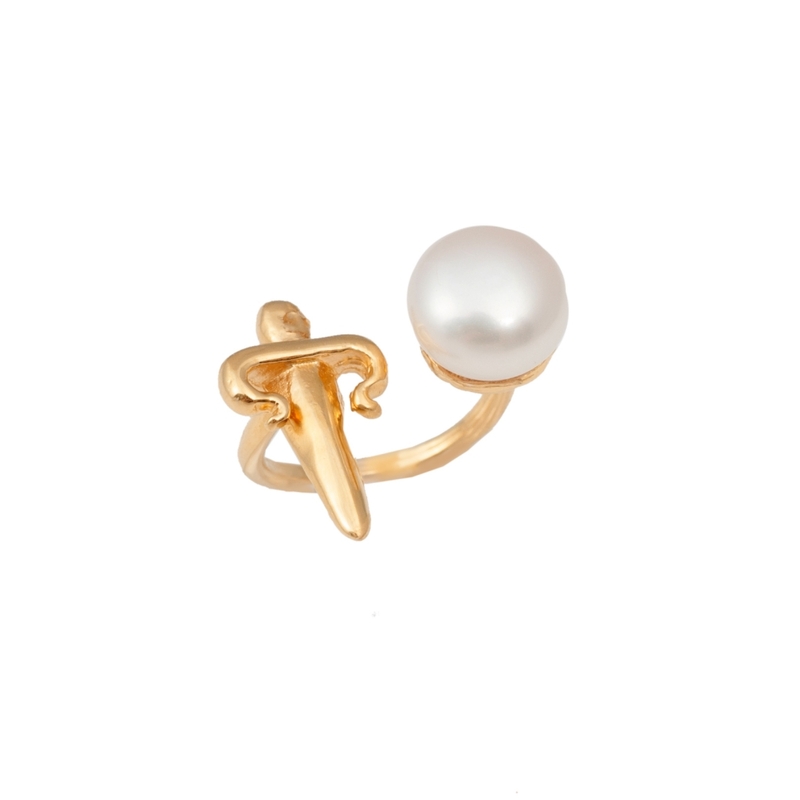 Crafted in bronze, this piece is then plated in 22K yellow gold and adorned with a beautiful fresh water pearl in white. 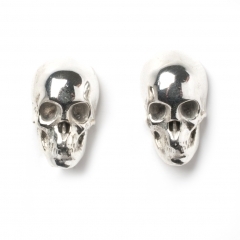 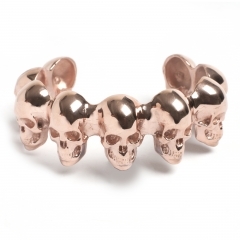 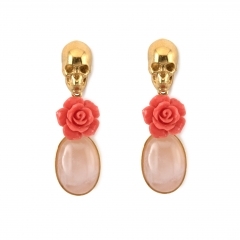 Also available in Rose Gold & Silver plated bronze.